(CNS): The Department of Tourism has now revealed the full statistics for visitors in the Cayman Islands for the year 2009. 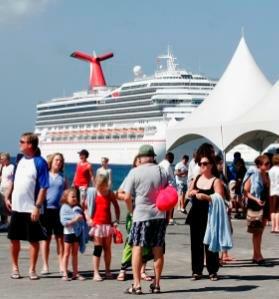 While it was no surprise given the global recession that both air and cruise arrival figures were down on 2008 only 1,520,372 cruisers visited Cayman the lowest number since 2001 when 1,214,757 passengers docked in George Town. The decline in numbers will add further fuel to the argument for the development of cruise berthing in the islands’ capital which will allow for larger ships to berth in the Cayman Islands in future boosting passenger numbers. Following improvements in air arrivals last year with an increase to 302,879 from the 2007 high of 291,503 air arrivals for the whole of 2009 fell to 271,958. Speaking to the Cayman Business Outlook conference last week the premier and Minister for Tourism said that when the UDP came to office the state of tourism was worse than imagined and he criticised the previous administration for counting passengers flying into Grand Cayman in order to transfer on to flights to Cuba as visitors to the Cayman Islands. Announcing his intention to begin placing the country’s tourism product on a new footing McKeeva Bush said he had appointed Cline Glidden MLA to head up a new commission to look at the problems the sector was facing. “When the current Government came into office in May 2009, our preliminary assessment revealed that the situation was perhaps even worse than anticipated. To say the least, it was complex and challenging – almost a full 12 months of declining visitor arrivals, increasing unemployment in the sector and a contraction of some businesses or complete closure of others,” Bush observed. He said the public sector side of the tourism industry was fragmented and not working in alignment, there were leadership gaps in various tourism related agencies and companies, international marketing strategies were being developed insularly, the National Airline and the Department of Tourism were out of sync, and perhaps most disturbing, he added that there was no clear vision and plan for the tourism industry. “We as the public and private sector leaders of the country need to be clear on how the primary industries of financial services and tourism will support and sustain our economic viability, the quality of life for those of us who live and create a sustainable socio-economic model for this and future generations of Caymanians, residents and guests to the three Cayman Islands,” Bush added. During his presentation the premier said the government had already set about developing a turnaround plan for tourism to attract people back to the Cayman Islands. “We need to create alignment across the public and private sectors, and ideally alignment, where appropriate and important, between financial services, tourism and real estate and infrastructure development. This includes what Brand Cayman stands for and where we want it to be in 2012 – for the three Cayman Islands. It includes strategically leveraging our assets, such as the National Flag Carrier, Cayman Airways and being committed to delivering excellent service,” Bush stated. (CNS): As government reassess the criteria for graduation after high school, the education minister has said that academic results could form part of the new minimum standards for students to be involved in the ceremony, though they have not indicated what that standard might be. 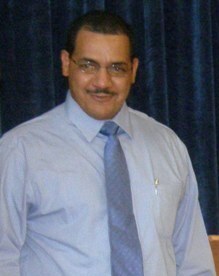 Year 12 students graduating from John Gray High School and the Cayman Brac High School in 2010 will participate in the annual graduation exercise as usual during the month of June, provided they meet the current graduation criteria, which up until now has only considered effort, behaviour and attendance. The graduation criteria has long been a controversial issue with some parents believing that academic achievement should form part of the consideration, while others believe it is unfair to marginalise children who have worked hard and attended school but have not been able to pass exams. Rolston Anglin has said that new graduation criteria will be coming into effect for all government secondary students, including the current Year 11 students, who still have one further year of compulsory education. "In addition to the current criteria which focus on effort, behaviour and attendance, the addition of academic criteria and community service requirements are being considered, subject to consultation with parents, students, education professionals and the wider community," Anglin said adding that adequate lead time would be provided before the changes are made. Chief Education Officer Shirley Wahler said the review of graduation criteria is both needed and very timely in light of the restructuring of the secondary education system. Part of that restructuring is the new compulsory Year 12 after students have sat their external examinations, which will now be taken in Year 11 as they are in the UK. The mandatory year 12 programme offers students a number of choices from re-sitting the papers they may have failed, to taking specific vocational courses. According to the education minister, a range of learning opportunities are being developed that will, for the first time, address gaps in the education system that have been identified by educators, parents and employers and students. "Our goal with the Year 12 programme is to better prepare students of all abilities to continue and enhance their education, to be employable, and to be productive responsible citizens of our society," Anglin stated. "For some of our children this will mean providing second chances to succeed with their external examinations, for others it will mean academic programmes which provide higher levels of challenge. For others it will mean new opportunities in technical and vocational subjects. For all our children it must mean better career assessment, guidance and counselling." Year 12 students will be based at the present George Hicks Campus where they can study for CXC/GCSE re-sits, take additional subjects, a foundation studies programme of one-year CXC and GCSE courses or functional literacy and numeracy programmes. The Year 12 programme will also offer technical and vocational programmes which will be complementary to the current UCCI certificate courses such as Motor Vehicle Studies, Business, IT, Sport and Fitness, and Health and Social Care. The Cayman Islands Diploma Programme will allow students to prepare for university entry while studying for the Advanced Placement International Diploma. Entry to this programme will require the minimum of five higher passes at CXC/GCSE including English and Mathematics. Students may still choose to study ‘A’ levels at the private schools, or the Associate Degree at UCCI. It is anticipated that most students will also undertake at least one day per week of work or community service placements, part of the emphasis on preparing students for the next stage in their lives. The ministry said that underpinning all of the new programmes will be a robust new Careers Service which the ministry says will mean more specialist careers staff will be employed in addition to existing staff in careers liaison roles. Anglin said a range of consultation meetings with secondary parents and students will begin over the next two weeks, along with meetings with other key stakeholder groups. "I encourage everyone to participate, to get informed and to share your views. These are exciting and important changes to our educational system, which have the potential to improve our students’ learning and ultimately their life chances," he added. (CNS): Those who are arrested for low level or petty offences, such as possession of small amounts of ganja, shoplifting, disorderly conduct and other non-violent crimes, will soon be offered the opportunity to admit their guilt at the police station, pay a fixed penalty fine and avoid facing a courtroom ordeal. David Baines, the Royal Cayman Islands Police Service commissioner, has said he has been discussing this issue with the attorney general and chief justice and hopes to introduce the system soon to help ease the pressure on the criminal justice system. Baines said there were a number of issues that needed to be addressed in order to get to grips with Cayman’s crime situation and the pressure on the courts. The introduction of a fixed penalty system would remove a considerable amount of petty crime from the court case load and allow the criminal justice system to focus on more serious offences. Speaking at the recent Cayman Business Outlook, the commissioner also observed the problem of an underclass in Cayman where the crime was breeding, and he said the country also needed to look at the causes of crime as well as tackling the crime as it occurred. He said he hoped that the police would be working more closely with the schools and social services to address the causes of crime and give people a stake in the future. “People might say that’s woolly but I’ve got to put police in schools to stop this as well as put hard hitting teams out there to bring in those who are beyond saving,” he explained, adding that his goal was to balance hard-edge policing with community policing. Asked what he was doing to address the spike in crime, Baines explained the “here and now” was to get in between the gangs, which were responsible for the recent spate of shootings. The CoP said that, while he was aware of the perception that the road blocks were only about traffic tickets, he said that was not their primary goal. “The road blocks are about getting in between the gangs and keeping them apart,” he said, explaining that they also provided an opportunity to search for drugs and weapons, and target individual criminals. But, he added, officers would not ignore those coming through blocks who were breaking the law, either as a result of speeding or DUI. He also said the service was focusing on ensuring that the right people were in place with the right skills and he was focusing on the necessary changes in legislation to address the problem of reluctant witnesses and to build confidence so people could give evidence to the court. 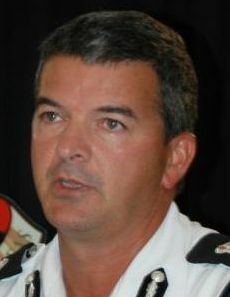 Baines also suggested that the spike in crime was not out of control and blamed the media for fuelling the situation. He said the increase in crime at the end of 2009 was only 9% up on 2008. The total he explained is an increase of 250 crimes. However, keen to stress 600 crimes less than 2007. “The headlines are starting to drive public perceptions,” he added. The senior officer admitted there was a need to focus what he described as “the limited resources” of the service, which meant training staff as well as filling the key vacancies. However, Baines said that there was little point in adopting modern policing methods if these were not developed in tandem with modernized judicial processes such as the fixed penalties to reduce case delays, as well as the need for the new courthouse. He said when justice was delayed victims turned away from blaming perpetrators of crime and began to blame the system. Ultimately, the Cayman Islands Government (any Government at the given time) needs to decide if we will continue to market these islands only to the wealthy and not to the ‘bread & butter’ tourists – as stated by Jim Bodden in the 1970’s. This policy actually pre-dates Big Jim to our first Exco Minister for Tourism, Warren Conolly who was quoted in the NY Times around ’69-70 as saying that "Cayman is not for everyone", meaning that we were intentionally targeting the wealthy. And that was good, as over the years the wealthy tourists have appreciated that so they didn’t rub shoulders with ‘Joe Average and Family from mid-America’ or rowdy spring-breakers. It has served us well but times change and we need to decide if we are ready to change with the times or keep the same 40 year-old formula. * A consistently dubious marketing policy (does anyone see the TV network ads that our generous tourism budgets pay for year after year? (stay up ’til 3am and surf some obscure channels and you might see a Cayman Islands ad every few months). * Over-inflated local pricing, hotels, restaurants, liquor stores, etc. These claim to be priced as they are because of ever increasing Government fees but they never absorb any such increases (as minute as some may be) because they know they are catering to a wealthy bracket of tourist and feel they can justify ‘socking-it’ to the visitor. Now, many a wealthy tourist are good with that (if you choose the Cayman Islands you have no choice) but the wealthy didn’t get that way by being foolish with their money so even them like a deal and don’t appreciate being gouged. I recall witnessing a family checking out of the Villas of a currently non-existent resort. When they checked their bill, their accommodation costs were $14,000 for the week and they had no problem with that. But when they checked their incidentals, they had been charged $84 for a dozen bagels, $20 for a gallon of milk, $20 for a dozen eggs when the resort stocked their villa with groceries. They were livid, and rightfully so. * Actively discouraged all-inclusive resorts, totaly converse to the policies of most of our competitors. Look at the example of Boatswain’s Beach: an attractive, innovative attraction which was well needed but senior powers at the time (most likely higher than management) saw fit to open the attraction charging a US$75 entry fee! That was higher than an Orlando theme park at the time. They failed to realize that the main market they were targeting was the same tourist who had paid $55-60 (then) for an all-day Disney or Universal experience; most of the Boatswain’s Beach market had only a few hours on land. With every other new service, one usually starts with bargain prices to attract your market and gradually work pricing upwards. Why in the world did BB do the opposite? Partly becasue of the ‘rich tourist mentality’ and partly because the ones who made the decision thought they were the marketing and financial experts and thought this approach would pay off the loans as quickly as possible. Needless to say they were totally wrong – the results today are evident. We are only competitive in our rental car rates (taxi rates are not bad if you get an honest driver who doesn’t rip you off because of the lack of meters – but that’s another story). Anyway, difference is what sells; we were sold as being different, and we were. But the world has changed and so has Cayman but the real question is now: do we continue with our old policy which was appropriate to the times or do we change to match the rest of the world and in particular, the Caribbean? Or do we retain our exclusivity but change the direction thereof? Deep water channels in the North Sound, floating bars in Nature Interaction Zones, etc., etc., – hmmm, we might be on to something! Without changes to be in step with the times, we will be the ‘last resort’ – pun firmly intended – when visitors make their choice. (Independent) Five years after being voted the greatest black Briton the memorial to Mary Seacole is struggling for money. The fundraising total is £50,000, way short of the £400,000 needed to complete the bronze statue for the forgotten heroine of the Crimean War, a black nurse from Jamaica who tended the wounds of injured and dying soldiers. 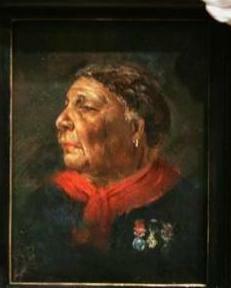 Her reputation at the time rivalled that of Florence Nightingale but while Britain has revered the "Lady the lamp" for more than 150 years, Mary Seacole was only a historical footnote. Her real status was not revealed until she was included in the national curriculum to illustrate racial attitudes and the contributions made by ethnic minority women to British society.